This is a sponsored post from CoolSculpting. All opinions are my own. 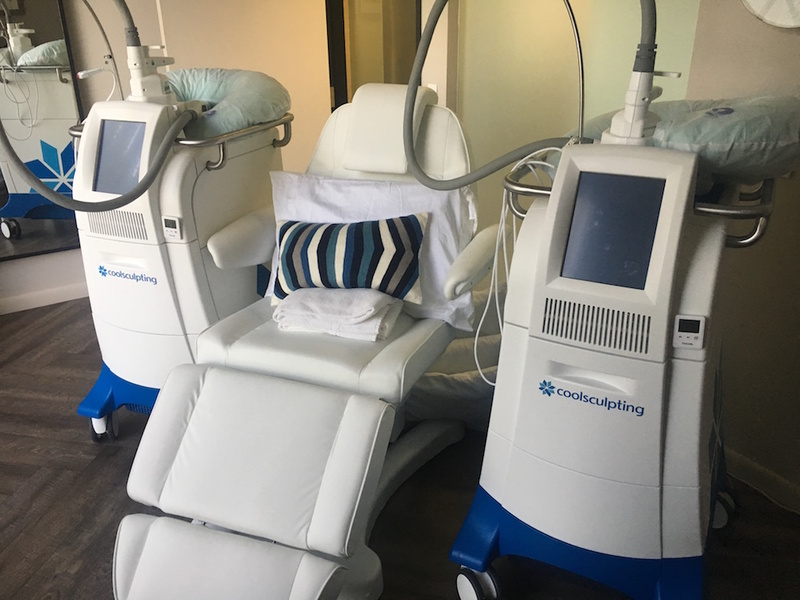 The anticipation of my first CoolSculpting treatment appointment was full of excitement and yet a little bit of nervousness of the unknown. 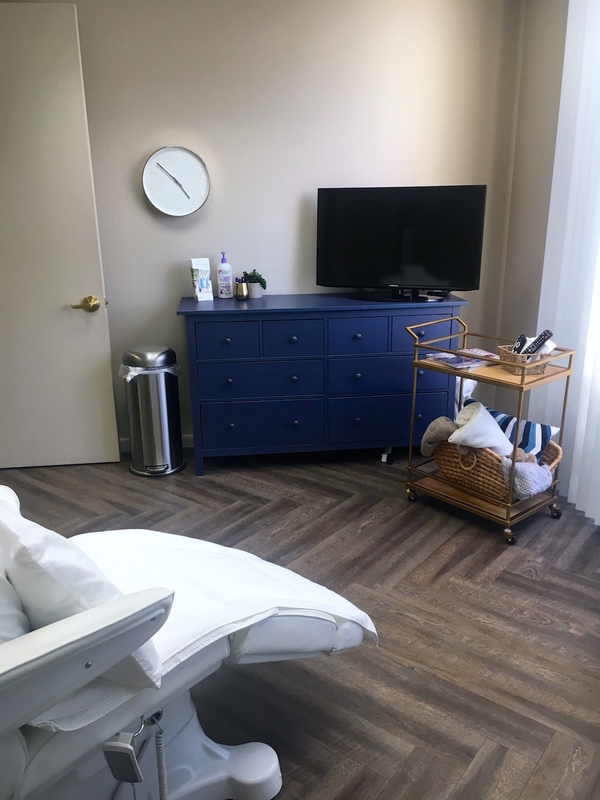 Melissa and Jessica, the owners of Bodify; CoolSculpting, were fantastic at explaining how the process works during my consultation, but I was more than ready to get the process going to see exactly how it worked and how the treatment of freezing my fat cells felt on my skin. We started my appointment by taking photos of my double chin first. These will be my “before” photos, that way we can see exactly how much my double chin reduced in size at the end. We then moved into the room where I will be treated. 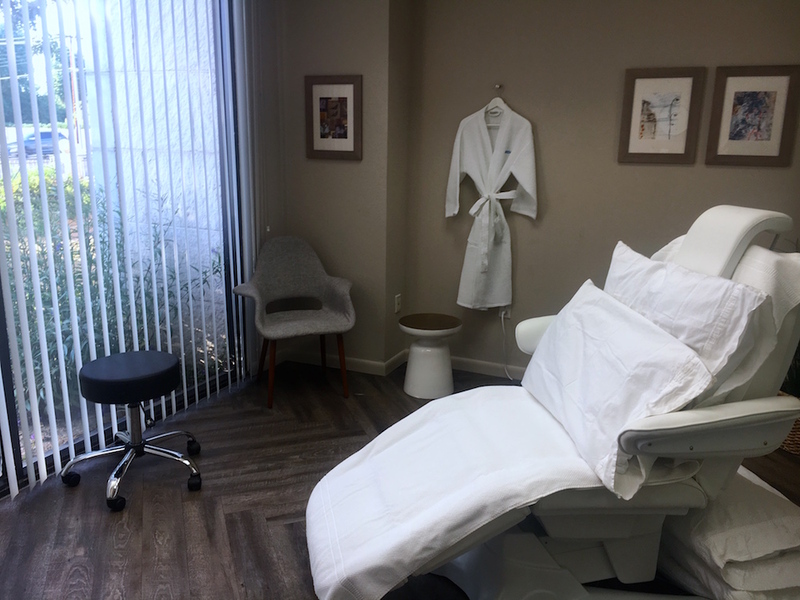 They have their rooms set up so you are completely relaxed during your procedure. They want you to be able to take your procedure time and make it your own while your fat cells are being frozen. They have a television with cable or Netflix, you can read a magazine or book, check your email or Facebook from your phone or just take a nap. Being a mom and having some quiet time is a little slice of heaven. Melissa and Jessica get everything set up with the machines and start to prep the area under my chin. They start by drawing some lines under my chin with an eyeliner pencil to see exactly where to place the CoolSculpting applicator. They spread on a gel and a special gel pad that protects your skin from any freezer burn. The goal is for the freezing to target underneath your skin where your layer of fat cells lie. When fat cells are exposed to extreme cold, a process of natural removal is triggered which means they die off and are naturally eliminated from the body for good. It isn’t immediate, but gradually reduces the thickness of the fat layer over 1-3 months. The girls then place the applicator on one side of my double chin in just the perfect place. They turn on the machine and we let the fat freezing begin. I’m not gonna lie, I was surprised at the cold feeling. For the first few minutes, it feels like a really cold ice pack placed on your skin. After those initial few minutes, your skin goes numb and it isn’t bothersome after that. I was so wrapped up in my show I had been binging on from Netflix that the time flew by. Each side is 45 minutes in length. Once the first 45 minutes is up, they remove the applicator and massage the skin for 2 minutes to get the blood flowing through. The girls then put the attachment on the other side of my double chin. There is some overlapping on the middle, but that is just fine with me because that is the spot I would love to see the most reduction. After both sessions of 45 minutes and the neck massage, I am ready to go home. After I left my appointment I had some time to myself and actually went to the gym! Yes, that is right, I had some fat cells frozen and felt completely fine to go work out. 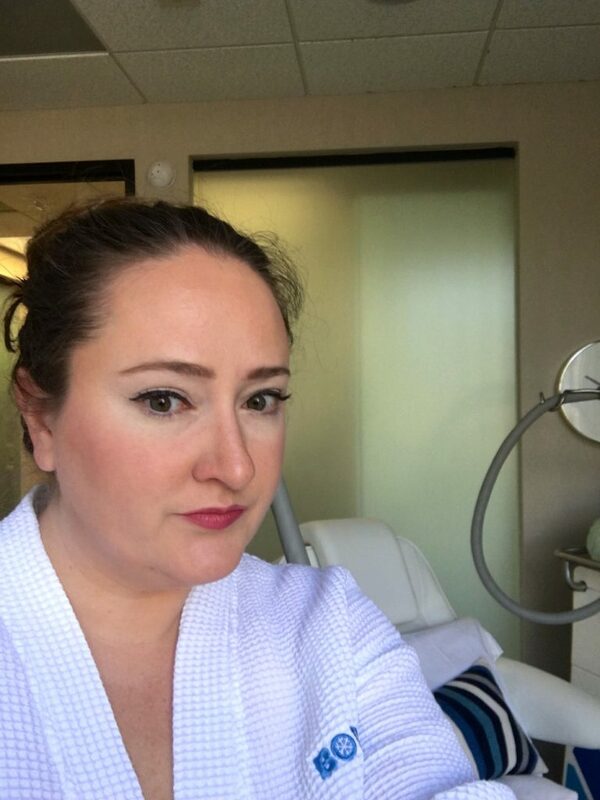 I love the fact that these treatments are non-invasive, quick, personalized for my needs and there is little to no down time. That is huge for me and I’m sure many busy people. I am beyond excited to see my results at the end and I hope you’ll stay with me through this journey. I am told that I can see results as early as three weeks, but the final results are 3 months after my final treatment. So stay tuned! Thank you to CoolSculpting for sponsoring this post. 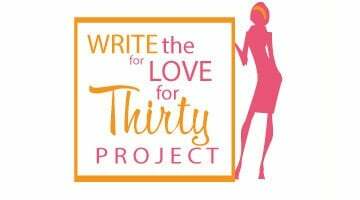 I have been considering doing this so I love reading about your experience. It’s really making me on edge of taking the plunge! !